Emory Law offers an outstanding legal education filled with experiential learning opportunities in the international city of Atlanta. Emory Law is a top-ranked school known for exceptional scholarship, superior teaching, and demonstrated success in preparing students to practice. The Emory Law School curriculum is attuned to the needs of the legal profession and the universe of careers engaged with the law. We work hard to help our students feel welcome and valued for their unique skills and perspectives. Our faculty are renowned for their innovative and dynamic teaching, and they are widely published in leading law reviews, books, and textbooks. The Center for Professional Development & Career Strategy offers unique programs and services tailored to the needs of individual students and alumni. The Emory Law network includes 10,000+ accomplished alumni across the nation and around the world. Get involved today, and stay connected for life. Robert Parrish joined the Emory Law faculty in the fall of 2015. He teaches first-year legal research and writing and an advanced writing course on writing for the judicial chambers. Parrish received his law degree from the University of North Carolina at Chapel Hill where he was a member of the law review and served as an articles editor. After graduation, he clerked for the Honorable Frank Sullivan Jr., at the Indiana Supreme Court and entered private practice after his clerkship with the Indianapolis firm, Bose McKinney & Evans, LLP. His work there focused on resolving complex commercial litigation matters. 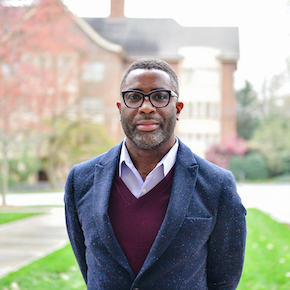 Prior to joining the faculty at Emory, Parrish taught at the Indiana Maurer School of Law in Bloomington, Indiana and the Elon University School of Law in Greensboro, North Carolina. His scholarship interests include critical race theory, affirmative action, and the racial integration of schools at the primary and secondary levels and with higher educational settings.